The Black Sea Trade and Development Bank (BSTDB) expects the continuation of the consolidation process in Azerbaijan’s banking sector, said Orhan Aytemiz, the BSTDB General Industries Director and the Chairman of Supervisory Board of the Azerbaijani AccessBank. He noted that the process of consolidation and reconstruction of the Azerbaijani banking sector is now strictly controlled by the Financial Market Supervision Body (FMSB). "The situation on the global financial market has affected Azerbaijan’s banking sector. A number of banks faced liquidity problems, 11 banks' licenses were revoked. We think that the process of consolidation and restructuration will continue in the Azerbaijani banking market. This process is now actively monitored by the FMSB," Aytemiz stated. He went on to say that external challenges also affected the capitalization process in Azerbaijan. "Some banks have faced a shortage of capital, which led to their closure, and the remaining banks need to be ready to raise capital at the regulator's request, otherwise they can leave the market," Aytemiz concluded. Licenses of 11 Azerbaijani banks have been withdrawn in 2016. For some time, the Central Bank of Azerbaijan (CBA) tried to stimulate consolidation in the market, however, it did not give visible results. As a result, the CBA revoked the licenses of banks. Currently, 31 banks are operating in the country, after the consolidation of two banks- Atabank and Caspian Development Bank. 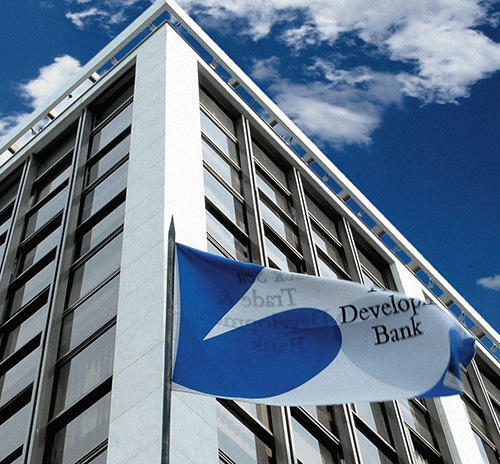 The BSTDB is a multilateral development bank serving 11 countries (Albania, Azerbaijan, Bulgaria, Georgia, Greece, Moldova, Armenia, Romania, Turkey, Ukraine and Russia) that are members of the Organization of the Black Sea Economic Cooperation (BSEC). It supports economic development and regional cooperation by providing trade and project financing, guarantees, and equity for development projects. The Bank supports both public and private enterprises in its member countries and does not attach political conditionality to its financing. The BSTDB commenced its operational activities in June 1999. The bank’s authorized capital totals €3.45 billion. Until today, the BSTDB has allocated €360 million for implementation of 40 projects in Azerbaijan.